This week's Judge John Hodgman brings an incredibly interesting dispute about the definition of friendship. 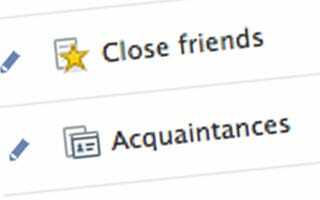 Moby, a woman in Australia, has a 6 stage system of how she categorizes the people in her life; from pre-acquaintances to actual friends (it's so detailed that she now classifies people down to 1/10ths of levels). Her 1.8 level acquaintance has taken her to task over how she introduces herself to people, giving them documentation of how closely guarded the levels of interpersonal relationship are, and giving them an online quiz to take so that they can see where they rank on a level of friendship with her. Her acquaintances and friend level friends appear to be offended by the open and public ranking system, but she sees no problem with it. It's clear in the dispute that she has created this pseudo scientific algorithm because she has previously been hurt by the action's of people who she thought were friends before. So it's incredibly interesting to consider that we all do this all of the time, maybe not as clearly worded in a PDF document as Moby's, but the classification of friendships is an interesting topic. So what say you about this subject? What differentiates an acquaintance from a friend? Does her system make sense to you? Have you ever had situations where your idea of friendship with another person did not meet eye to eye? Here's Moby's 6 level tier structure explanation of friendship levels. Here's the quiz to see how you stack up as Moby's friend. There are no wrong answers, be honest and sincere. Analytics will be anonymous. Here's the podcast of the dispute.